Step into the world's best simulations. 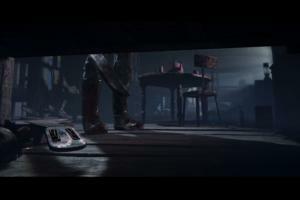 You'll find insanely realistic game play—and a few lessons along the way. Some sim games are hell-bent on putting you in the middle of realistic action scenarios. Others let you experience some of the world's most elite (or obscure) professions. Looking for science fiction or fantasy? You won't find it here. So grab your mouse, keyboard, joystick, or driving wheel, and step into some of the most dangerous, toughest, and craziest jobs in the (virtual) world. Seriously, train conducting? Yes, there's a sim game for that. Putting yourself into the hell of war may not sound like fun (Call of Duty and Battlefield don't count), but if you're interested in exploring realistic military tactics with a healthy dose of hard-core teamwork, look no further than ArmA III. The sim won't come out until later this year, but you can get your feet wet when you pre-order and gain access to the alpha build of this title, which is already fairly polished. Everyone plays a role—from medic to pilot—and each assignment is key to leaving the battlefield alive. Couple this with realistic terrain, accurate weapon physics, and an authentic chain of command, and you'll find yourself in a game that's nothing like typical action shooters. You can find it on Steam for $32.99. 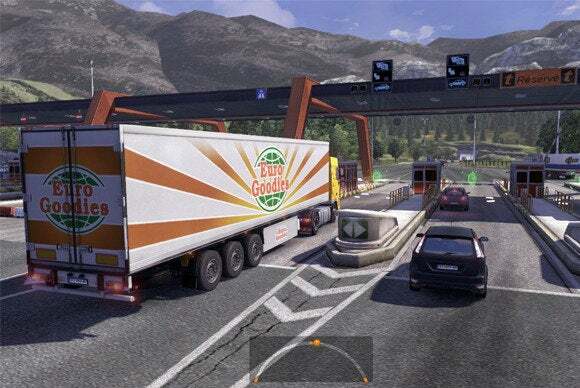 If you've ever wanted to tour the European countryside, consider doing it from your computer—behind the controls of an 18-wheeler. In one of the world's more eclectic sims, you run your own trucking company. You work hard to deliver cargo safely and on time, and most of all, well, you do a lot of driving. The game is so realistic, you get a ticket whenever you make a moving violation or collide with a car. This will cost you money and harm your reputation, limiting your job opportunities. Buckle up and be safe out there. Check out our review here and find it on Steam for $39.99. Maybe trucks aren't really your thing, but you still want to see the world without leaving your room? Train Simulator 2013 takes you through rail systems all over the globe. Become acquainted with all variety of scenery and terrain—as well as trains, lots of them—as you live out your childhood dream to play engineer. If you're a serious train enthusiast, it's possible to spend a pretty penny on this game by buying up all its downloadable content. But, luckily, the Steam Workshop provides some free user-made scenarios to get the most life out of your experience without emptying your wallet. You can find Train Simulator 2013 on Steam for $54.99 with plenty of DLC options to boot. Do you have an itch to live the Midwestern American dream? Wake up with the roosters, and then plow those fields until it's time for supper. Or just fool around on the tractors all day. Your choice. 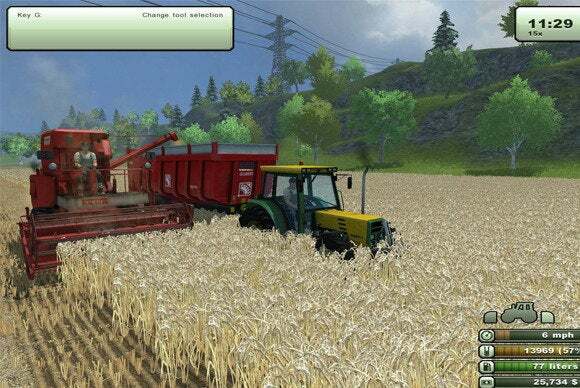 In Farming Simulator 2013, you can hook up the combines, feed the pigs, and get rolling through amber waves of grain to make your living. Curse at the weather, buy some manure, rinse, repeat. At its core, the sim is all about managing your crops and livestock to keep your farm afloat. Online capabilities allow up to 10 people to work on a farm at once and share equipment. Even in a simulation you have to make friends with your neighbors! You can find it on Steam for $27.99. The new SimCity hasn't been the success that Maxis had hoped, so many sim devotees are returning to the tried and true SimCity 4 that was released back 2003. 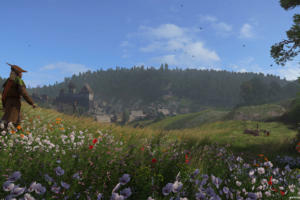 It contains everything fans are pleading for in the newest installment, including sprawling plots of land to spread your city into, terraforming, and mod support. Fans have tweaked the game to their liking, making the most robust and involved city management simulator to date. If you don't mind the fact that every car and citizen isn't represented individually by "agents" like in the 2013 title, SimCity 4 will be your paradise. You can find it on Steam for $19.99. This is the Cadillac of flight sims. It'll make your head explode with its 700-page instruction manual. So maybe it would be best if you just went to flight school before attempting this sim. It's not a game. It's a digitized flight engine. Every button, switch, and lever functions as it would in a real A-10C Warthog, and starting the engines could be the most difficult task of your life. Turn one dial out of order and the alarms will be enough to make you eject right on the runway. If you're looking for a way to impress your friends, sink some time into this title, and amaze them with your vast knowledge of military avionics. Just starting the engines will impress them beyond belief. You can find it on Steam for $39.99. Cities in Motion 2 came out just a few weeks after SimCity and quickly became its rival. Luckily for the developer, SimCity was suffering controversy and criticism by this point. The game stands on its own merits, however. 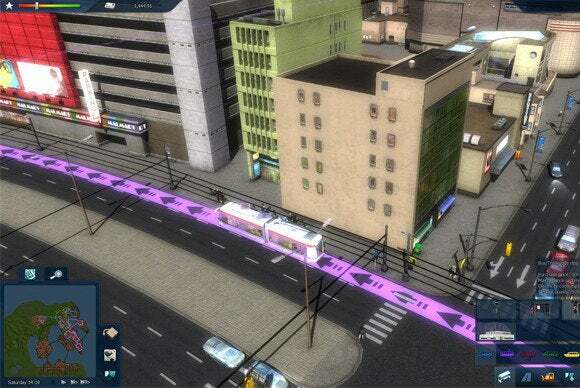 Instead of simulating a city's development and growth, you manage mass transit and roads. Accordingly, the city grows dynamically in response to the transportation systems you provide. If you love micromanagement and are interested in mass transit, you'll get a kick out of scheduling traffic timetables, planning freeways, running trams, and deciding if your city really needs that expensive ferry terminal. You can find Cities in Motion 2 on Steam for $19.99. 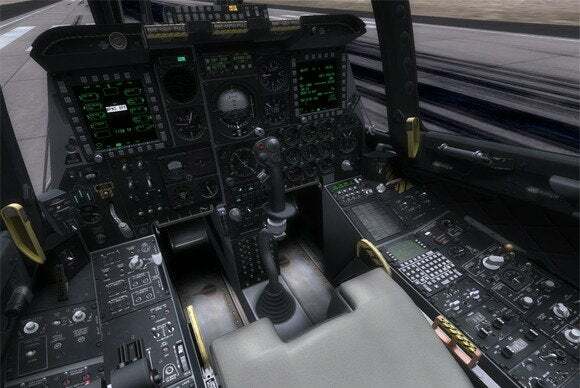 Flight Simulator X isn't a new simulator, but it's still one of the most robust flight experiences available. Released in 2006, this is Microsoft's 10th and final installment of the Flight Simulator series, and focuses on realistic aircraft, terrain, and airports. 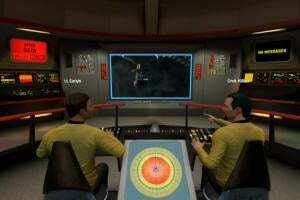 An expansion pack added more aircraft and locations, as well as various scenarios to extend game play. A deluxe version of the game that bundles the core game and expansion content is also now available. Grab your joystick and hit the skies in this beloved classic. You can find it on Amazon for $39.99 though it's commonly on sale for much cheaper. Realism is a pain when you just want to sit down and play a casual flight game. There's a reason you didn't become a pilot, but you'll be damned if that hinders your love of flying—virtually. Microsoft Flight is free with a few missions and two aircraft to play around with. Paid DLC is available for more aircraft and exotic locales. It's set in the Hawaiian islands, perfect for those who need a scenic tour. It's also geared toward people looking for something more casual in their simulations, with less of a heavy focus on protocol and realism. You take off, fly, and land. 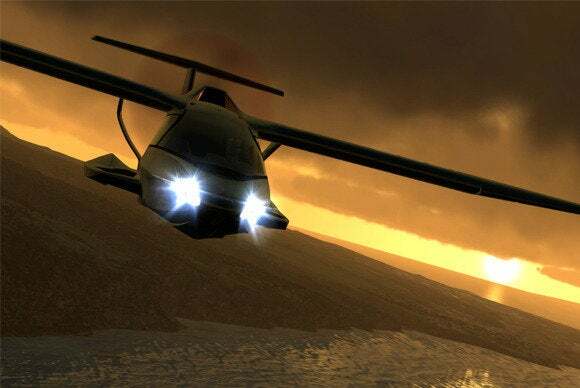 Check out our review of Microsoft Flight and you can find it on Steam for free. Play with life—literally. You create, manage, and deal with the lives of your virtual human pets. Are they social? Lazy? Dumb as a rock? You decide when you create your alter-ego in The Sims 3. You get to play dress-up and interior designer as well, controlling how all your sims look and the space where they reside. Don't forget to include the necessities, such as a kitchen, bathroom, and Olympic-size swimming pool. If you're into controlling every aspect of a virtual person's life, make sure to buy the nearly 20 DLC packs that add everything from pets to "Katy Perry's Sweet Treats"—whatever they are. You can find it on Steam for $29.99. Additional DLC costs anywhere from $19.99 to $39.99. 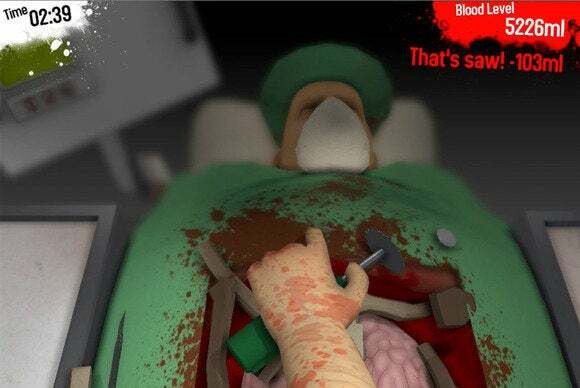 Alright, so you probably won't learn much from this simulator, except that saws are really sharp and that it's tough to operate while laughing hysterically. The mouse moves your arm, and five strategically placed keys operate each finger individually, essentially simulating a hand. It's as tough to pick up a scalpel as it is to surgically cut out an organ. Many consider it the QWOP of the medical field and will teach you as much about surgery as QWOP does about running—squat. It's over the top, fun, gross, funny and best of all—cheap. You can check it out on Steam for $10. If you're tired of the nittgy-gritty realistic stuff then you'll probably want some sweet action games that look good too. 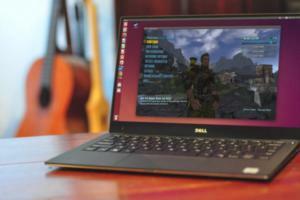 Just be sure to beef up your computer before diving head first into these games. 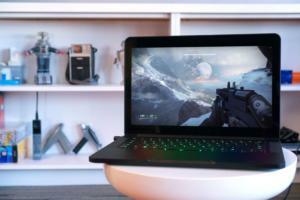 Click here to check out the slideshow of the games that will bring your PC to its knees.